Manzanilla Callejuela 2014 is the first of the trilogy of single vineyard and vintage Manzanillas. The objective is to show the difference between three Manzanillas made of grapes from vineyards with their own terroir and climate, within the marco de Jerez. 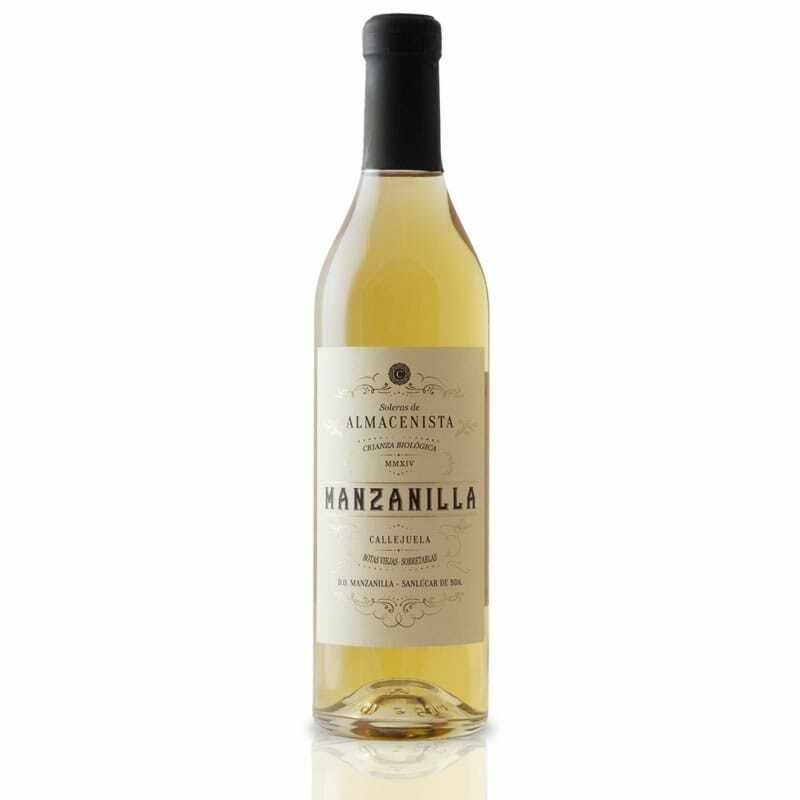 Manzanilla Callejuela is made from selected and matured own grapes, from a vineyard called Callejuela, located in Sanlucar, surrounding the winery. The soil is a type of albariza, Tosca cerrada and the proximity to the sea gives it a saline characteristic. The still wine is made of Palomino white grape, undergoes spontaneous fermentation and low in sulphites. Then it is fortified to 15% and aged in static system (in single barrel instead of solera) meaning 1 year in static equals 3 years in solera, in terms of complexity in flavours and balance. This wine shows an outstanding finesse and extraordinary elegance thanks to the integration of the alcohol with this authentic Palomino wine. Very elegant, fresh and concentrated wine, showing the Atlantic salinity from Sanlucar. Ideal as aperitif and food pairing with sea food, fish and salty meals. Limited Production of 900 bottles of 50 cl.